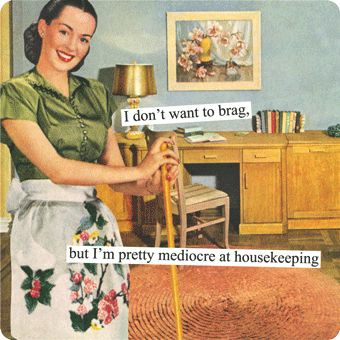 More to life than cleaning all the time. I can always see something I could do in the house but it is very repetitive. I need a poster like that! I am too...just ask my Mom. Hand up! Yeah, part of that club all right! Good blog - sounds like me!!!!! !